On WEDNESDAY, DECEMBER 5, 2018, STUNNA kicks a new month of programs for 'THE GREENROOM' on BASSDRIVE Radio with another exclusive installment. 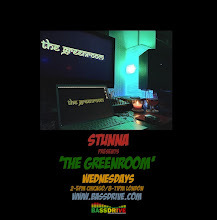 In this week's edition, we welcome the return of 'GREENROOM' favorite MAGE as he delivers a brand-new guest mix especially for this program. Hailing from the city of CHELYABINSK, RUSSIA, MAGE (aka KIRILL SHEYKIN) began producing DRUM+BASS in 2004 and finished his first collaborative tune with fellow producer DK FOYER in 2005 and the track was subsequently released on FOYER's album in 2007. In the time since then, MAGE has produced countless tracks that have seen worldwide release on vinyl, CD, and digital platforms. He's been published on a long and esteemed list of imprints, including: KILL INC, LIQUID BRILLIANTS, MIND INSIDE, PIRATE STATION, RESPECT, SOUL LIMITED, DIGITAL COLOURS, BASSDRIVE TUNES, DYSFUNKTIONAL AUDIO, OFFWORLD, EXTENT, DUBPLATE RECORDS, PLUSH, RE-ZONE, FOKUZ, CELSIUS, and URBAN CHEMISTRY. 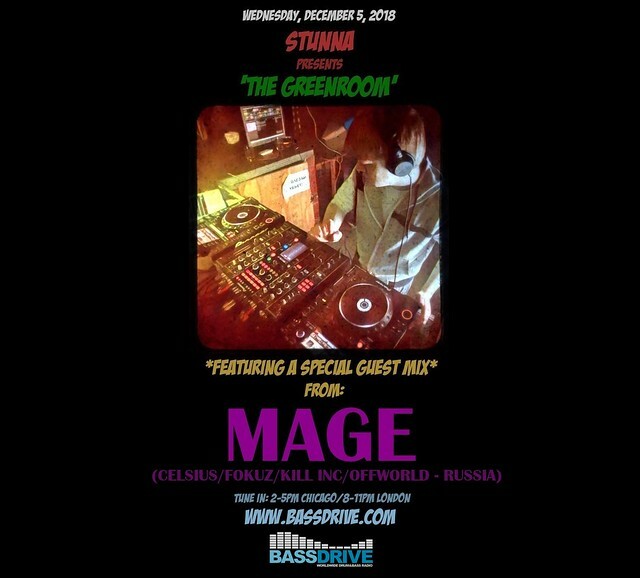 MAGE draws his musical inspiration from the soulful and intelligent sounds of LIQUID FUNK, as well as the playful elements of JUMP UP and the aggressive side of NEUROFUNK to create his own signature sound within the fast-paced world of DRUM+BASS. With a bevy of releases lined up for the remainder of the year into 2019 and beyond, MAGE goes deep into the mix for an exclusive blend of his own original creations, alongside cutting-edge tracks doing the rounds. Tune in!!! POST THE TRACKLIST, PLEASE. That set was sick!